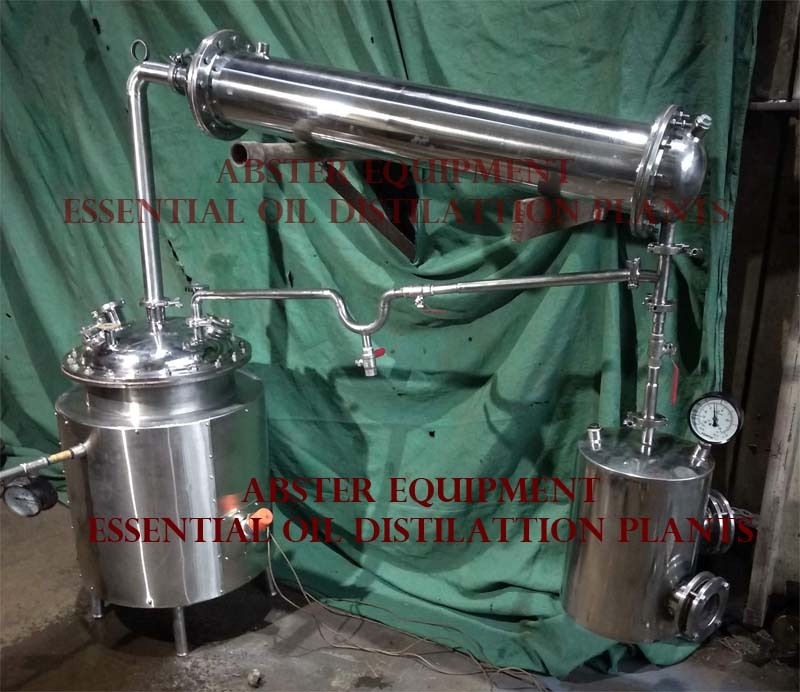 Abster Equipment is specialize in the field of supply of Essential Oil Distillation Plants for the widest range of Essential Oils from the common to the exotic. Our Essential Oil plants have a fully integrated design and are based on successful Processing Technology. The distillation plants are used in the extraction of volatile spice oils. Available in different capacity range, they are generally supplied in 250 kg to 3000 kg capacity range. These are engineered in stainless steel, integrated and skid mounted and supplied on turn-key basis as per client’s requirement. Available in different capacities, they are generally supplied in 250 kg to 1000 kg capacity range. These are engineered in stainless steel, integrated and skid mounted and supplied on turn-key basis as per client’s requirement. The word is from the French word ‘Franc’ meaning ‘luxuriant’ or ‘real incense’ and together with Myrrh, it was the first gum to be used as incense. Distillation Plants for Distilling Essential Oil from Frankincense and Myrrh are made in different capacities from 50 Kgs to 500 kgs of the raw material per batch. These Distillation Plants are engineered in stainless steel, Fully integrated and skid mounted with Steam Boiler, Cooling Tower etc and supplied on turn-key basis as per client’s requirement.